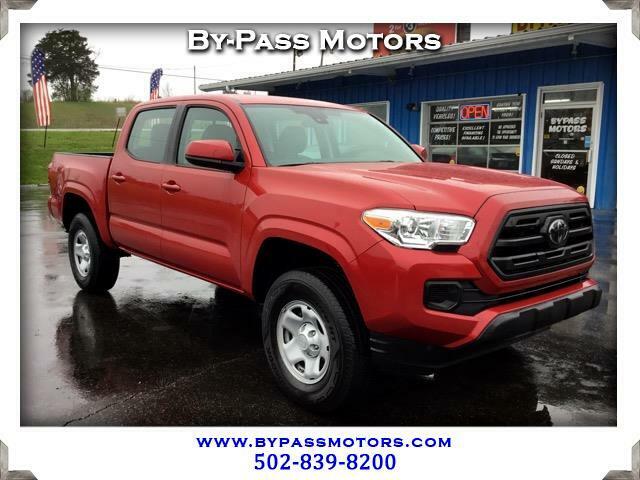 Used 2018 Toyota Tacoma SR for Sale in Lawrenceburg KY 40342 By-Pass Motors, Inc. This is a ONE OWNER OFF LEASE truck that is in BRAND NEW CONDITION and has full factory warranty!!! This Crew Cab Tacoma is like new with only 10k miles and still has that new truck smell. We have inspected the truck to insure that there is nothing wrong with it and also performed a complete service. Equipped with all the safety features you would want like Lane Departure and Crash Alert Assistance. Comes with a Back-up Camera, Bluetooth, and so much more!!! We have been In business since 1989 with an A+ rating with the BBB!!! We look forward to seeing you soon to take this new Tacoma home!! !